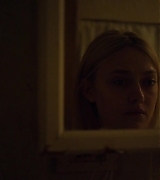 Our gallery has been updated with screen captures from Every Secret Thing! I wouldn’t advise anyone who hasn’t watched this movie (but is planning on it) to look through them, though. I’m pretty sure there are a few spoilers in there.